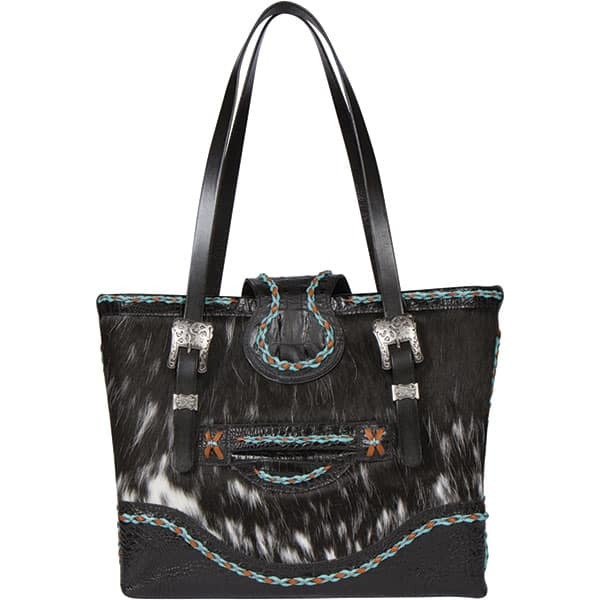 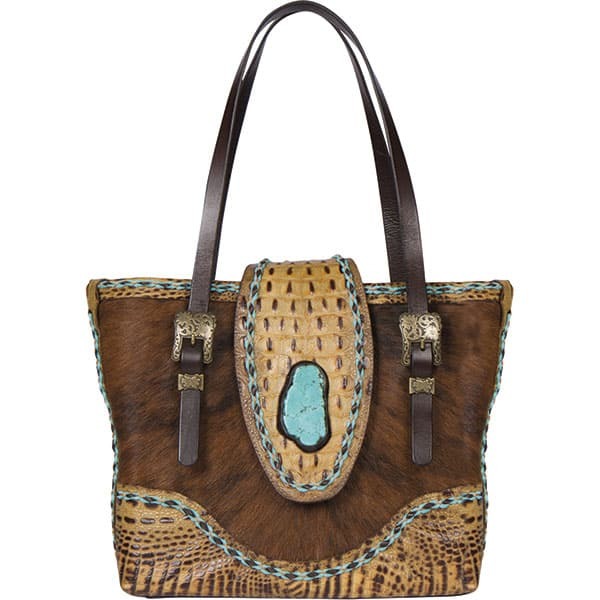 Tote bags take on an otherworldly nuance with bold designs and exotic leathers and textures. 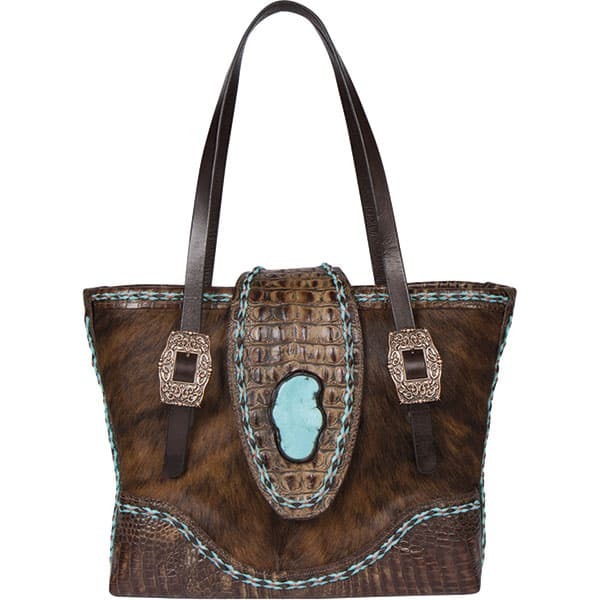 Lonestead Range pays homage to nature’s artistry by creating fine leather tote bags that combine an array of colors with a timeless pattern of textures. 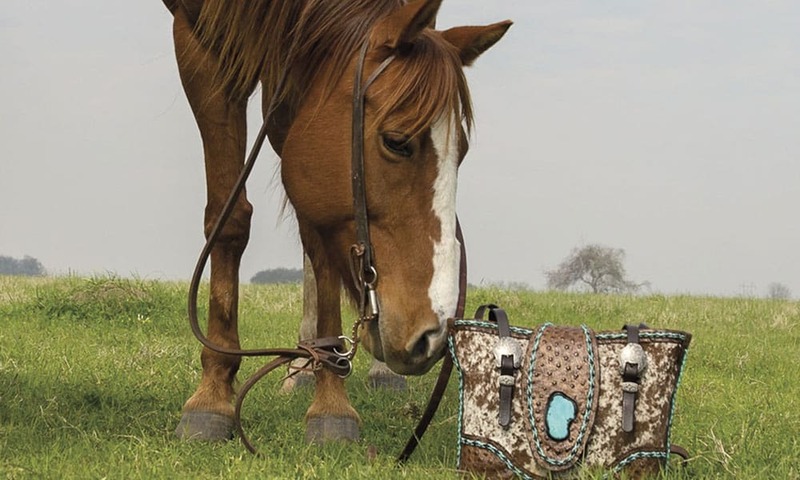 Using hand-selected artisan leather, paired with accents like antler tines and turquoise slabs, Lonestead creates statement pieces that are not only built to endure, but that also reflect the style of the West. 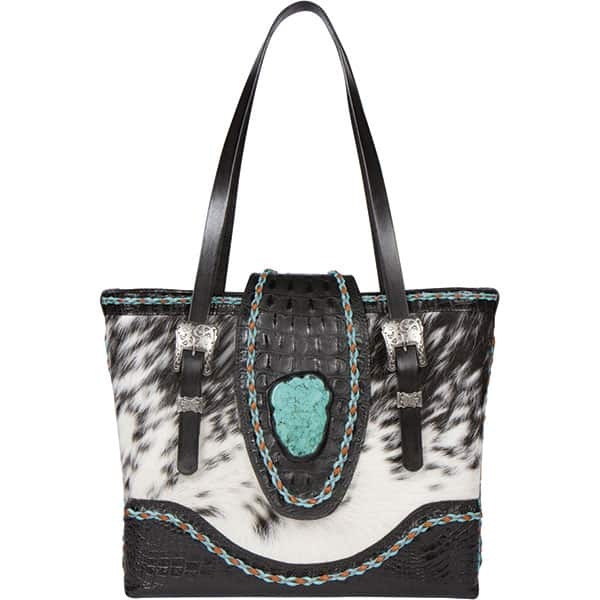 All bags featured are from the Lonestead Range Chimney Peak series, $1495, lonesteadrange.com.